The DES-3000 series consists of high-performance managed Layer 2 switches, an ideal solution for SMB and enterprise market. Designed as an entry-level management solution for the SMB, these switches have progressed further with enriched advanced features. 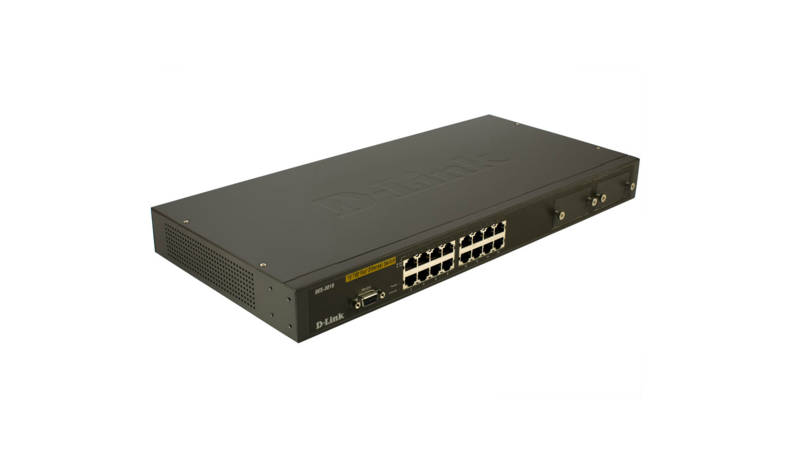 The DES-3000 series provides a rich set of switching features that can be deployed for growing business networks. The DES-3000 series is a cost-effective Gigabit connectivity solution which is suitable for business applications that require superior performance with options for expansion. In addition, the switches offer fiber uplinks for faster server connections that connect to different group users, such as classrooms or departments spread across campus or buildings. The DES-3000 series includes many features which cannot be found in other switches of the same class, such as IP-MAC-Port Binding (IMPB) user access management and Traffic Segmentation. It implements 802.1x port-based and Host-based network access control that enable user authentication and flexibility for each network access. The DES-3000 series supports the CPU Interface Filtering function to filter out malicious packets before it reaches the CPU. This also helps prevent the switch from unnecessary workload. It supports 802.1p priority queuing and packet classification based on TOS, DSCP, MAC DA and switch ports. The other features include 802.1D Spanning Tree (STP), 802.1w Rapid Spanning Tree (RSTP), Loopback Detection (LBD), and Broadcast Storm Control that enhance network resilience. For load sharing and redundancy backup in switch cascading/server attachment configuration the DES-3000 series provides the dynamic 802.3ad Link Aggregation port trunking. It also features IGMP Snooping for multicast transmission and Port Mirroring for that help track network errors. With the DES-3000 Network administrators can manually define throughput-levels for each port, to manage the bandwidth. This bandwidth control feature provides fine granularity by defining the limits down to 64Kbps. When Broadcast Storms occur, this feature can significantly limit down the damage caused and ensure the ability of network access. The DES-3000 series supports standard-based management protocols such as SNMP, RMON, BOOTP, telnet and web-based GUI. With Cable Diagnostic feature, designed primarily for administrators or customer service representatives to verify and test copper cables; it can rapidly determine the types of error and the quality of the cables. With D-Link’s Single IP Management (SIM) web-based management support, the DES-3000 series simplifies management tasks and speeds up the process. Multiple switches can be configured, monitored and maintained from any workstation through a unique IP address. Using this web-based management tool, switches can be added to the stack and managed as a single unit. Up to 32 units can be added to a stack without limiting to a specific switch model. The treeview allows administrators to view the stacked units and a network topology displays the locations of the units with link information.